A collage of color brought this pasture of wildflowers to life on a cold April morning. 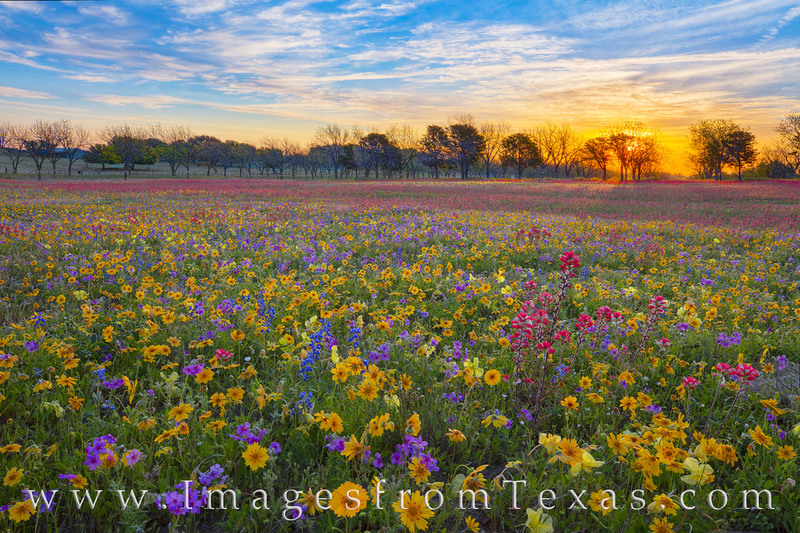 As the first rays of sunlight spread across the tree tops, sunshine began to warm the variety of blooms, including Indian paintbrush, bluebonnets, coreopsis, tickseed, phlox, Missouri primrose, and several others. It was a pleasure to shoot this field on private land. Thank you to the owners for the invitation. Photo © copyright by Rob Greebon.